Our specialists know that one facial doesn’t fit all. For this reason, we offer a wide range of treatments to best serve the needs of all of our guest. 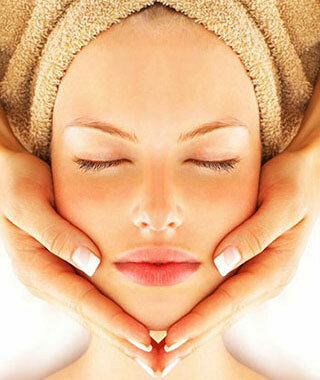 We are trained to utilize exclusive skin care systems to address a variety of concerns. These include, acne, hyperpigmentation, dry skin, and more. From there, we will treat and help heal your skin by choosing high-quality products that target any issues you may have. A skincare regimen will also be recommended to encourage lasting results. Integrating regular facials and and using, carefully selected product is not only an investment in your complexion, but also an assurance that you can always put your best face forward. Our signature deep pore cleansing treatment is designed to treat the specific needs of your unique skin type, and provide a personal skincare profile to achieve healthy fresh skin. Specifically designed to treat the demands of men’s skin. Active ingredients of brown and green algae, licorice, and vitamin E thoroughly moisturize while intensively calming the skin. Fine lines and age spots diminish and the skin’s texture is refined. Ideal for any stage of oily, blemished, or acne skin. This highly effective treatment counteracts impurities, improves pore congestion, soothes irritations, and promotes healing. The revolution in skin care; an effective alternative to injections with collagen. The active Collagen extract used is highly rejuvenating and penetrates faster and deeper into the dermis to strengthen, re-hydrate, and improve elasticity. Plumps up the skin to reduce lines and wrinkles. This customized treatment addresses the most common dermatological concerns including Vitamin A, Vitamin C, Hydration and Anti-aging. Your therapist will customize this treatment for you. Resulting in a radiant problem free complexion. Specially designed to improve the skin’s resiliency. HSR Lifting uses a multitude of innovative complexes to firm, tone and lift. The skin becomes firmer and plump with increased elasticity, allowing the face to regain it youthful contour. Plump and add density your skin with this Collagen booster therapy. Using ultra potent hyaluronic acid and collagen to boost the skin from the inside out. This treatment smooths lines and wrinkles while amplifying the face with a thermos sculpting mask to dramatically lift and reshape the facial contour. Gentle skin resurfacing for the face and neck. Exfoliates skin surface removes dead skin cells. Decrease fine lines, wrinkles, and evens skin tone while removing pigment disorder and irregularities. Great with skin Renewal AHA Peel. Skin renewing fruit acid peeling mask with 10% or 30% glycolic acid. For skin in need of regeneration, blemished skin, acne, enlarged pores, lines and wrinkles. Smoothes skin ensures a youthful fresh and even complexion. Excellent with add-on facial. Series is your key to achieving optimum results through repeated sessions of specialized treatments. Series expire one year from date of purchase, Series are non refundable, non transferable and cannot be converted. Series cannot be used by more than one person or combined with other offers or discounts.